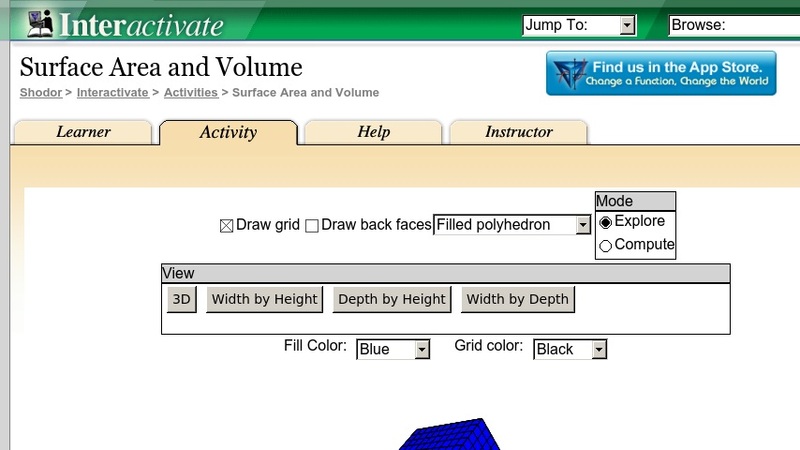 This Java-based activity lets students manipulate a 3-D rectangular prism or triangular prism to explore surface area and volume. The geometric model is designed to help secondary students visualize the relationship of width, depth, and height in calculating and estimating volume/surface area. This resource is part of CSERD (Computational Science Education Reference Desk), a portal of the National Science Digital Library. The Interactivate collection contains more than 200 standards-based activities, many of which have been classroom tested.